Clearly some beasts aren't cut out for long-term survival like some desert creatures such as the scorpion, the rattlesnake, the tortoise, and so on. If you're not built for it, your desiccated carcass will soon vanish into the sand and scrub brush. 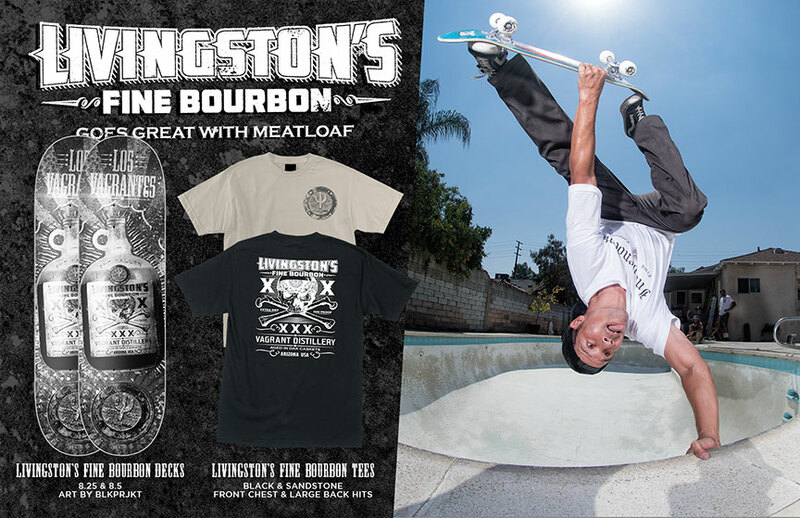 It's not uncommon for Livi to skate well over fifty different pools in a year, and he's going to bring everything he's got to every session. If you've been there, you know. Fences jumped, hoses dropped, and both shallow and deep end business handled. Having skated with him at a few choice pools over the years, I was beyond hyped to deliver a graphic at his request. Long may he run. 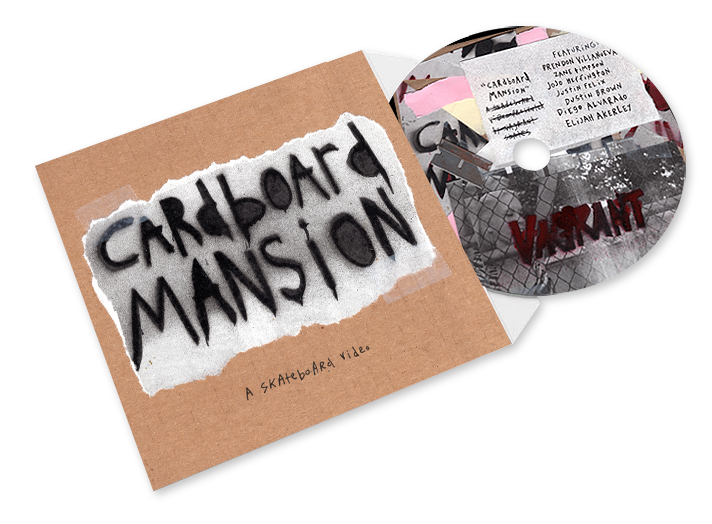 Cardboard Mansion is the second full length video from Vagrant. Featuring Zane Timpson, Elijah Akerley, Jojo Heffington, Brendon Villanueva, Dustin Brown and Diego Alverado.